They are using the "biker image" to work with local agencies such as the police, Relationships Australia and women's health services to empower children against hostile physical environments. 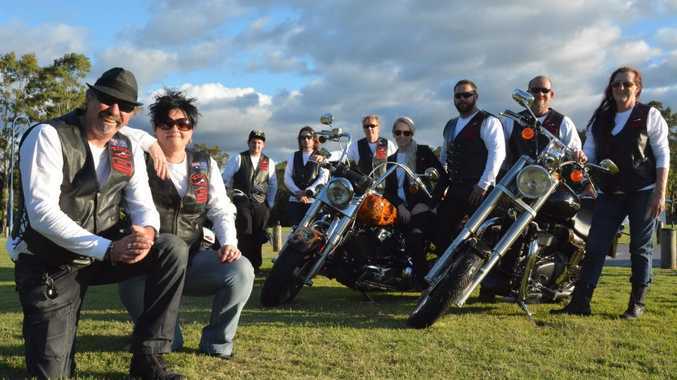 Motorcyclists Advocating Child Empowerment began in Perth in 2013. The Gladstone chapter is a group of professionals and industry workers who are all close friends and riding buddies. Brenton Goldsworthy, a team leader at Rio Tinto Alcan Yarwun, is also president of the central Queensland chapter. Known by his road name Goldy, he said the reasons and motives of the MACE riders were as diverse as the people in the group. "I've always loved the ride, it's just been a part of who I am," he said, "but sometimes it needs to be more than just the ride. The one thing that ties us together is that we have a heart's desire to be able to make a difference." He said the riders had their own personal experiences that helped them identify and relate to the children they come across. 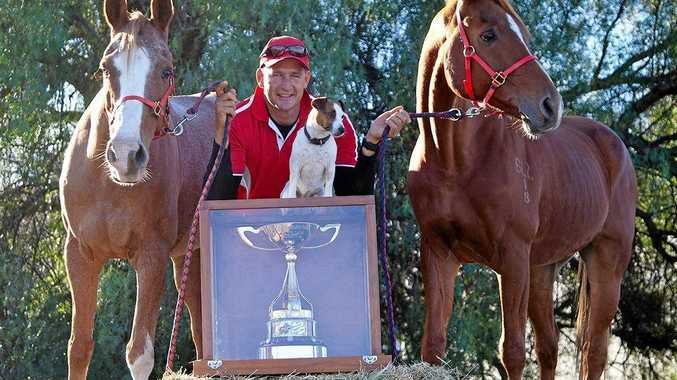 "Per capita Gladstone is still up in the highest in Australia for youth suicide so that for me is a drive that someone has to get out there and do something about it," he said. "If no one does, no one will. If you can save one person by sitting and talking to them and letting them know we can get them help, that's worth it." He said wearing white was a big part of showing the community they were recognisable and to "give us a wave when you see us out". If there is a child at school, for example, being bullied badly, MACE can ride them to school so they feel they have got someone who cares and someone who's watching over them. "All of us love to ride, and there's a magnetism that draws you to bikes, the noise," he said. "We're not counsellors, not social workers, not vigilantes. Call the police if there's abuse happening at the time." The group, and any new members, require police checks, blue cards and constant training. There are rigorous checks and balances and confidentiality is a given. "We've had excellent support from the community and businesses so far," he said. "We've built our reputation on integrity, honesty and transparency and we try to maintain that as best we can. We have a heart to serve."